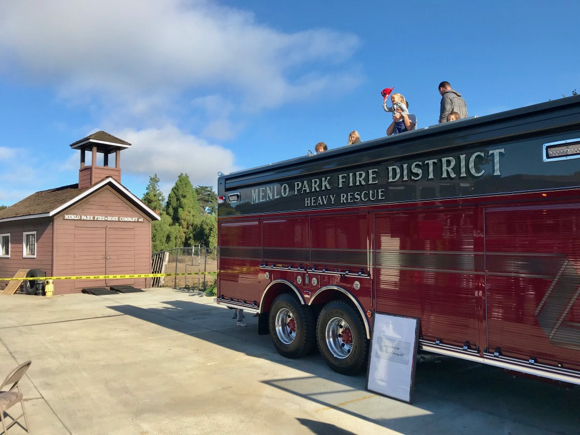 The 18th annual pancake breakfast was held Saturday morning at Menlo Park Fire District headquarters, a benefit for the Alisa Ann Ruch Burn Foundation. The always well-attended event starts with breakfast. Pancakes get flipped by fire fighters with Boy Scout Troop 222 assisting in the fire-house-turned-dining-room. The event is co-sponsored by Junior League of Palo Alto•Mid Peninsula, Inc., whose members were on hand to sell tickets, and the Stanford Park Hotel, which donates all the food and set up. A special treat this year was the display of new firefighting equipment, including a Heavy Rescue truck (below), a 2018 Pierce Arrow XT. 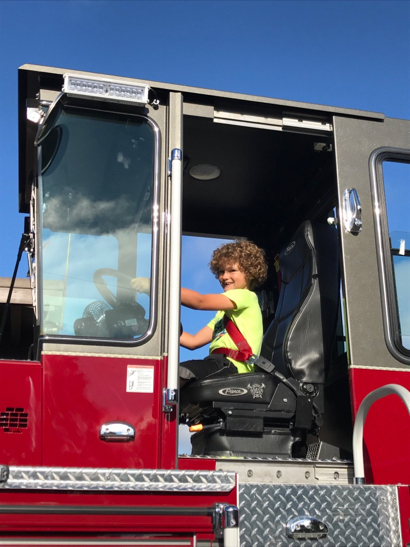 Kids could also climb into the cab of the ladder portion of a hook and ladder truck (right). The new was in contrast to Old Tom and the old original fire station (below, left in photo). 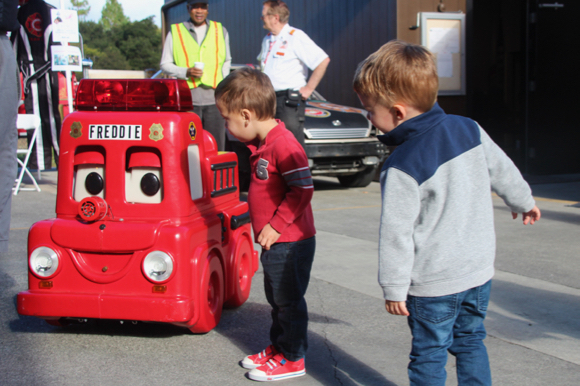 Firefighters performed demonstrations including a jaw of life rescue, and when not climbing on the trucks, kids could enjoy multiple games scattered around the fire house yard.